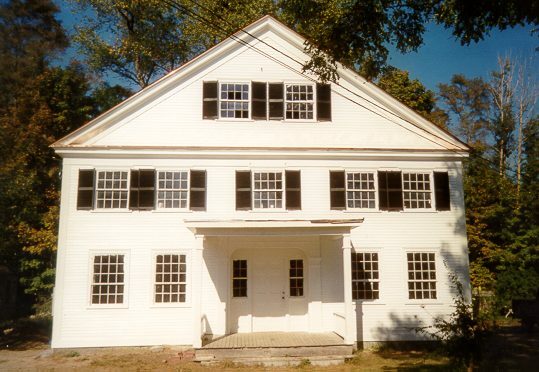 Built around 1817, this Federal style house was first occupied by Ezra Barrett from about 1817-1845. As one of the very first deacons of the Congregational Church in Warner, he lived there and ran a scythe-snath shop near the house until 1830. During the late 1840s, a Doctor Parsons Whidden lived there and entertained a summer guest, Mary Baker Eddy, in the year 1849. Later, storeowner Erastus Wilkins lived in the large house in 1858, as he operated his stores in Lower Warner and the center of town.